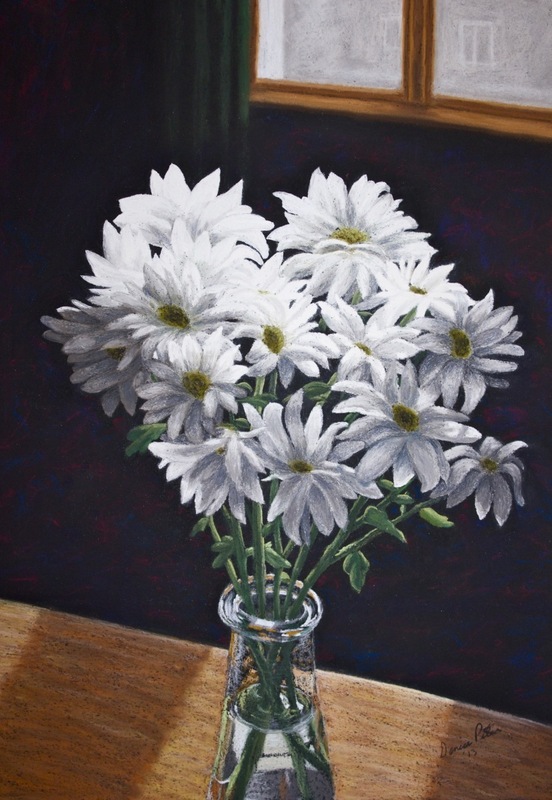 This is a pastel painting of my bouquet of daisies. I saw the way the light was shining on them and they just glowed! I had to paint it. It is pastel on Colourfix board and measures 12 x 17 unframed. 13" x 9"18.75" x 13"